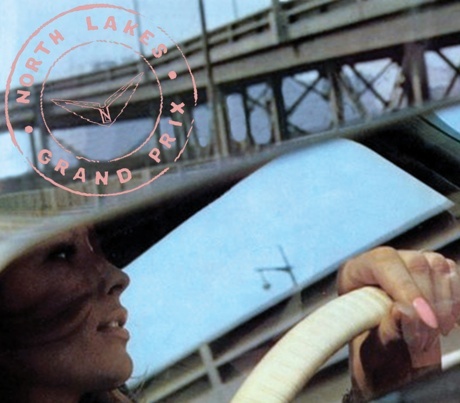 Charlottetown rock'n'rollers North Lakes have announced that they will be releasing their sophomore record Grand Prix on May 15. The eight-song record was recorded in a church in Long Creek, PEI with the help of Adam Gallant (Boxer the Horse, Al Tuck) and producer Colin Buchanan (Paper Lions). Grand Prix marks the follow-up to the band's 2011 debut Cobra. According to a press release, the new LP "is a testament to the galvanized direction and ambition of the up-and-coming Prince Edward Island-based band," who craft their sound based on classic '60s pop and garage rock. The group have also announced some upcoming Maritime tour dates throughout the month of May. Scroll past the tracklisting for Grand Prix to check out the upcoming East coast shows. For a preview of the new material, listen to album cut "Grab Me By the Lapel" below. North Lakes "Queen of Cyprus"